Counting Birds for kindergarten. This worksheet contains birds which must be counted and written down. An answer sheet is included. 1-5 numbers. Counting skills is important in early education. 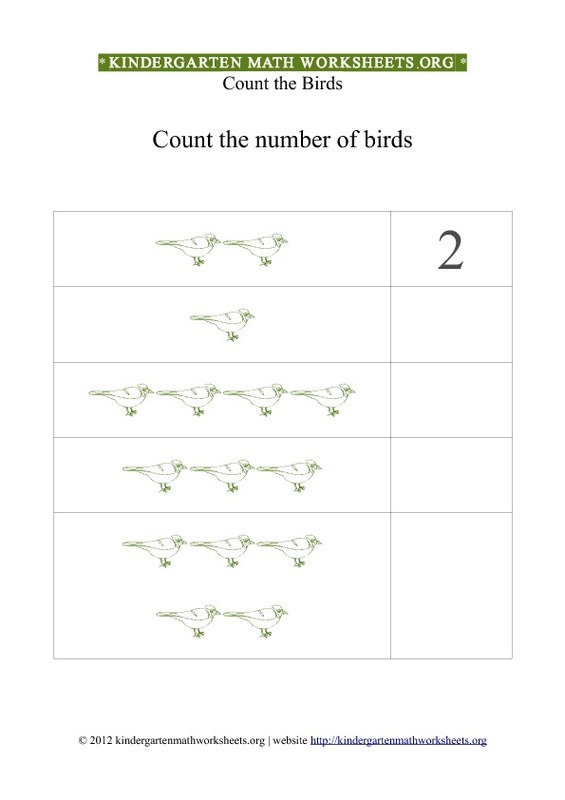 These counting worksheets for kindergarten with Birds will help your students get better at counting skills. Description of worksheet activity: This worksheet contains 5 rows of birds that must be counted and written down. This free printable kindergarten worksheet with bird pictures is created specially for counting and adding skills. Kindergarten math counting with birds. Download the free printable pdf Kindergarten math counting with birds.